After almost a decennium of musical absence Frank Marino returned to the scene in 2000. That was good news for everyone who loves guitar because Marino belongs to the crème de la crème of string wizards. Last year he released the phenomenal double cd ‘Real Live’ and hot on the heels of that release he personally re-mastered four earlier cd’s. ‘Full Circle’ and ‘Eye Of The Storm’ were released in November 2005 and ‘From The Hip’ and ‘Double Live’ will follow in 2006. From 1975 till 1982 Frank Marino & Mahogany Rush were signed to giant CBS, but the politics of the label frustrated Marino. He expressed his anger and frustration in a genius way on ‘Power of Rock N Roll’ and ‘Juggernaut’, two albums with astonishing guitar playing. After ‘Juggernaut’ Marino CBS and signed for the much smaller Maze Records label. His first album for Maze was ‘Full Circle’ in 1986, in musical terms a mature album that mixed great guitar playing with slower songs on which keyboard sounds played a prominent role. The reviews in Europe were mixed as everyone was used to the furious and outrageous guitar songs and solos on the illustrious predecessors. Almost twenty years later ‘Full Circle’ proves to be a very balanced and entertaining affair. ‘Breaking Away’ reminds us of the great old days, but songs like ‘Imagine’ and ‘Had Enough’ show a more introvert and mature guitar player and man. Highlight is the eleven minutes long title track. Marino always takes the time for his solos, so this cd contains many songs with long instrumental parts. The fact that I like the cd more than during it’s initial release is probably due to age. ‘You Got Me Running’ is a jazzy bonus track that closed the album in a relaxed way. The sound quality of this re-master is considerably better than the original, the sound is much warmer and the music is given more room to ‘breathe’. So this release is a good moment to replace your vinyl copy with a cd. 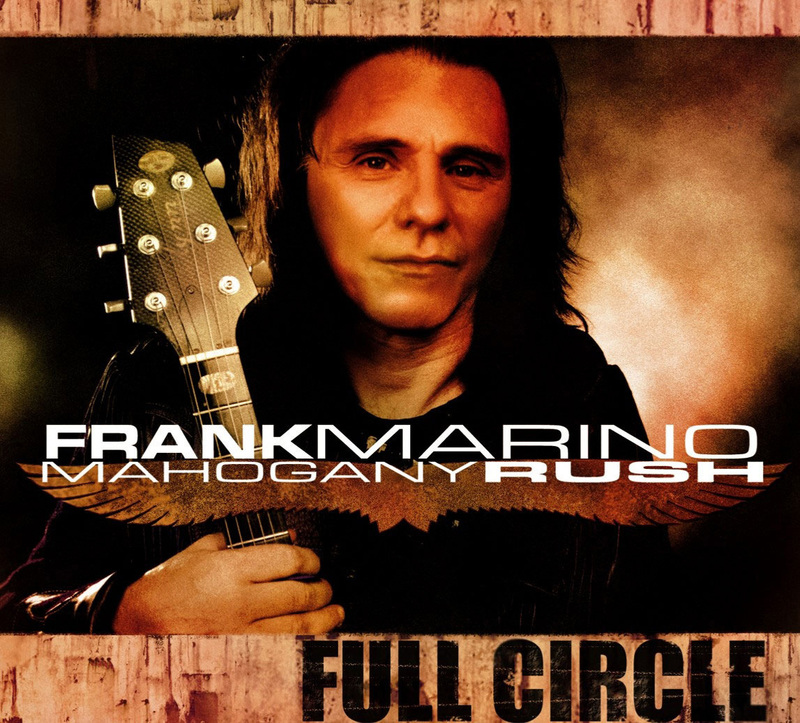 Let’s pray Frank Marino will also re-master his three best studio albums ‘What’s Next’, ‘Power of Rock N Roll’ and ‘Juggernaut.’ We have been waiting for ages to get our hands on good copies of those gems.